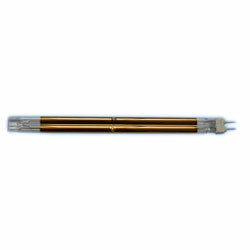 Medium Wave Infrared Heaters feature use of helically wound resistance coil which is housed in pure vitreous silica fused quartz tube. The ceramic insulating caps provided at end of quartz tubes are specially designed and fastened to tube using high temperature cement somas that allow tubes to breathe. 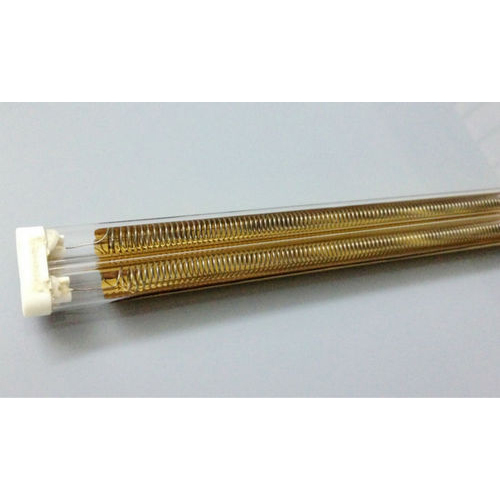 Medium Wave Infrared Heating Modules are the resistance wire enclosed in quartz tube of 8 mm outer diameter. The quartz tubes are mounted in special housing and are placed parallel to each other. These tubes replace ceramic heaters because of their compact size. Twin Tube Medium Wave Infrared Heater comprise of 8-shaped, high-purity clear quartz twin tube with each tube having Ni-Chrome heating coils which run in U shape in tube filled with halogen gas.